Your resume should reflect your career. If you're a freelancer, it's time to make the switch to a freelance-oriented resume. Here are four simple ways to leave the traditional resume behind and focus on your freelancing future. If you’ve gone from traditional 9-to-5 employment to freelancing, it’s time to revamp your resume. A traditional resume is great if you’re looking for a traditional job, and it can still work for landing freelance gigs. However, a freelance resume will take you one step further in establishing your freelance brand and reputation, proving that you’re a true, stable freelancer to potential clients. Here are four ways to make the switch and improve your freelance success, all by presenting yourself and your experience in the best way. Instead of listing your experience chronologically, whether it’s traditional or freelance employment, list your freelance experience first. Then, if it’s related to your freelance industry, add your professional experience underneath. Put the most important items at the top. So if freelancing is what you want to do, make your freelance experience front and center. Consider name dropping on your freelance resume, as long as it’s not against any non-disclosure agreements you’ve signed. Don’t be afraid to list the publications and websites your work has appeared on or companies you’ve freelanced for. You aren’t limited to name dropping nationally-known companies, even though bigger names can help. If you designed a homepage for a small, local company or you wrote an article for a practically-unheard-of publication, don’t hesitate listing them on your resume. Clients like to see what other types of companies you’ve freelanced for. Some freelancers move from one project to the next, each with a new client, rarely working with the same client multiple times, and that can be difficult to portray on a resume. Instead of listing the two weeks you worked for this client and the four days for the next one, skip the dates altogether and focus on the clients themselves. Dedicate a section of your resume just to listing your previous and current clients. For a slightly different resume approach, use your clients’ logos instead of simply typing their names. If you’ve written for big-name clients, the eye will immediately recognize it and go to it. Traditional job seekers usually attach letters of recommendation to resumes and work samples. But as a freelancer, you can have a bit more flexibility in how your present yourself. Add a line or two of praise from some of your favorite or well-known clients. 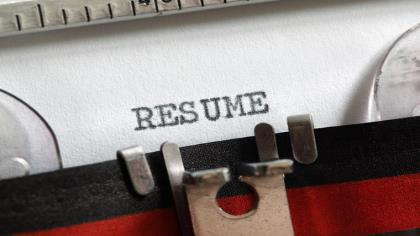 These brief recommendations shouldn’t take over your resume. Instead, think of them as supplementary, showing your prospective clients that you work hard, get results, exceed expectations, and are good with deadlines. Sometimes the words of others speak louder than what you could ever write about yourself. Even if you’ve had reasonable success with a traditional resume in the freelance world, give a freelance resume a try and see what kind of difference it can make in your client responses and your outreach. It might be the extra kick you need to reach some of your freelancing goals, and it will give you more credibility within the freelance industry.